By the eighth Mississippi, Bridge had his map back in hand and a good idea of where he was headed. It must have been a long walk from the cemetery to The Bethany for a man who’d been forced to vacate his own grave, but in the van it was a short ride from their current location to the outskirts of the city. The hope in making the trip was to find something—anything—at the gravesite that would point him forward in the investigation. Between himself and the cat, they had killed off all other viable leads. Given the block in Rook’s memory, the only thing the dead man had left to offer was the location of his resurrection. If nothing came of it, then Bridge was at a loss as to where to go or what he should do next. As the van’s headlights fell on the cemetery entrance, Bridge brought the vehicle to a stop. The wrought iron gate loomed over nine feet tall, an intricate pattern of climbing ivy metalwork laced between its bars and spelling out the word BLACKHILL near its top. From the space behind him came a muted whimper—most likely the sound of the dead man dredging up one of his few memories—, but as imposing as the gates were, it wasn’t their height that bothered Bridge. It was the heavy-duty padlock and chain holding them closed. After his last attempt at bridging, he was hesitant to call on another soul for fear that Polly’s death wasn’t an isolated incident. She was by no means critical to his existence—more like a shortcut to help him avoid actual legwork—, but there were other souls he’d come to rely on in more significant ways. How many times had he called upon Skinny in situations like this afternoon’s, where an injury would have otherwise meant the end for him? Maybe his reliance on that contact had resulted in him being more reckless with his life but then his job was inherently more dangerous than that of the average Joe. Bridge was entertaining the idea of going old school on the wall—scaling to the top under his own steam and then dropping down on the opposite side—until he noticed the six-inch pigstickers that lined both the top of the gate and the surrounding stone walls. Given the choice between either failing to break the lock or bleeding to death after a metal spike pierced his privates, there seemed little need for deliberation. “Wait here,” Bridge told the cat, words that were completely unnecessary. Spade hadn’t moved an inch since his brief turn at the wheel, and he showed no signs of that changing anytime soon. “Honk if you spot trouble.” It was unclear whether the direction registered, and there was no response when Bridge waved a hand in front of the cat’s glazed eyes. For the time being, Bridge would consider himself a man alone. Outside the van, he threw open the roll door to reveal Rook, or at least Rook’s eyes, staring back at him. In the darkness, the bulging white orbs were the only parts of the dead man that were visible and even those disappeared when his hair tumbled into his face, effectively blacking him out. Without his stench, there would have been no telling he was even there. To the spot where the assassin had been, Bridge said, “You’re coming with me” before making his way to the gate. Rather than summoning a void that would threaten to swallow him whole, Bridge was surprised to find a familiar sensation wash over him. Elsewhere, the individual he’d long ago nicknamed Rock was enjoying a brief respite from his constant pain, while at the same time Bridge focused his newfound strength into his right forearm and fist, feeling his fingers go white-hot before they fused together and then cooled like magma. Hand hardened into one unbreakable stone, Bridge lifted it high over his head then brought it back down again, smashing at the lock. On the third try, its stainless steel body gave way, the armature hanging open and loose. In a rare moment of satisfaction, Bridge almost relinquished Rock before he remembered that the cat had gone catatonic and was not coming with him. There was no doubt in his mind that he could take Rook on his worst day—even when the dead man had still been warm—, but he’d be a fool to go into the cemetery unarmed. Better to keep his rock fist as an ounce of prevention, capable of pounding the cure out of whatever he might encounter within. Head down, the assassin marched into the cemetery without a word, a condemned man’s last walk. He was immediately enveloped in black, the only evidence that he was still moving the sound of his footsteps. Before following, Bridge fished his lighter out of his pocket and held its flickering flame out in front of him. Its output was only slightly better than that of a wish. The ground beneath his feet was still saturated from the afternoon rain, and more than once he slipped in the mud as he wended his way through headstones, Rook staying at the outer edge of the light. How the assassin was able to see where he was going went unexplained. Maybe it was instinct. Then again, maybe it was nothing at all. Just as Bridge began to suspect he was being led on a wild goose chase, the dead man came to a full stop. As Bridge circled around him, he could see that Rook held his arm out perpendicular to his body, fist closed. Was this supposed to be a message of some kind? While Bridge worked to derive its meaning, the dead man seemed to conclude that there wasn’t one, due to the omission of his trigger finger. In its place, his middle finger shot out, pointing ahead. With one eye on Rook and the other on the indicated path, Bridge lowered his lighter to discover he was standing at the edge of an empty grave. No doubt this was where Rook had pulled himself free of the earth, but things were not entirely what they had seemed. The soil was upturned, and the remnants of a splintered coffin lid lie at the grave’s center. But that wasn’t everything. It had been bothering Bridge for a while now, how the dead man had been able to subvert the laws of physics and claw his way out of the ground. Simple logic would say that—with the weight of all that dirt pressing down on him—there was no way he could have forced his way up and out. Taking into account that the man currently weighed less than a buck—buck ten at the outset—, his actions were a virtual impossibility. Unless, of course, someone had helped him out. To the immediate left of the grave—in an area Rook’s eyes had never looked in the memory he’d shared with Bridge—was both a shovel as well as a substantial mound of dirt. Yes, the dead man had pulled himself from his grave, but the majority of what had been keeping him inside had been removed before he did so. Odds were, whoever had performed the backbreaking labor of digging up the grave had also left behind the cell phone and the handgun. Just beyond the spot where those two items had been retrieved, Bridge discovered something else. Burnt grass. In a straight line. Much as he hated to admit it, Bridge already had some idea what he’d find when he swung his lighter back out to his right: a twin discoloration on the well-manicured lawn. Though he couldn’t see the entire structure—for that he would have needed more light and to be hovering overhead—, he didn’t need to. He knew full well he was crouched in the middle of a pentagram, and that made things significantly more troubling. Whatever knowledge he could claim as his own, black magic was well outside of it. 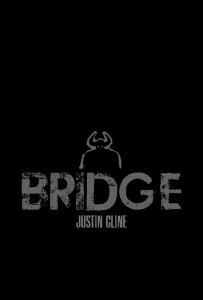 The only thing Bridge knew for certain was to stay the hell away from it, cross the street should he ever see it coming his way. Unfortunately, it was far too late for that. Without a look, Bridge told the dead man behind him to “Sit,” while he himself stood, left hand massaging a knot in the small of his back. Good dog that he had become, Rook plopped down in the mud, awaiting further instruction, and yet obedient as he seemed, Bridge still wasn’t wont to trust him. He debated having the dead man remove his pants again to employ Spade’s method of restraint, but his curiosity got the better of him once more. Above all else—even his own personal safety—, he had to know the name of the man who had been laid to rest in this plot—the man he knew only as Rook—, so he made his way to the headstone, lighter out and ready for revelation. It took an overlong moment to focus on the stone’s inscription, drawing the flame closer and then pulling it away, but it did eventually become legible. Bridge couldn’t put into words exactly what his expectations had been beforehand, but the name that was revealed came as a bit of a disappointment. NICOLAI RODCHENKO. No fireworks went off inside Bridge’s head as a result. The name was meaningless. He wouldn’t have guessed Rook for a Russian, but then it wasn’t as if the man gurgled with an accent. Apparently, “Nicolai” was a BELOVED HUSBAND. The dates below the description indicated he had been nearly forty years old when he died five months earlier. Again, no significance. 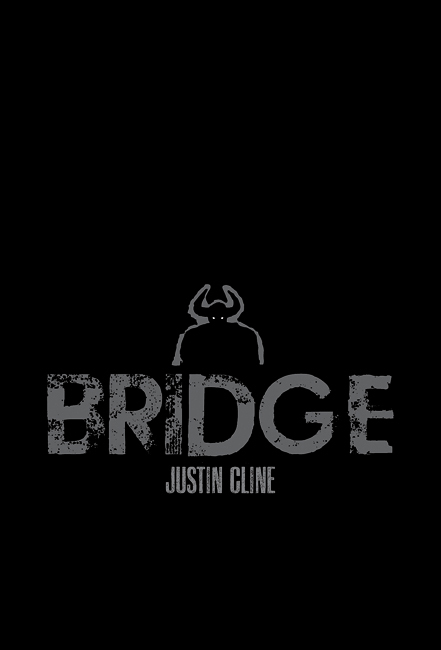 If nothing else, Bridge had something to follow up on with the name, and it was unique enough that he wouldn’t be wading through half the city’s inhabitants. Still, he wished that there had been something more direct, something he could really latch onto. He supposed he could research the date of Nicolai’s death, but where was that going to— Damn. The clue was staring him right in the face, and he seemed to be doing his best to overlook it. Bridge spun around so quickly, he almost guttered his flame. His heart was racing as he attempted to read the headstone to the right of Rook’s. Eyes skipping over the name, he searched for the description of the person buried in the plot below instead. And there they were, the words he had hoped to find. BELOVED WIFE. The dates of her life were unfinished, meaning she was still alive out there–somewhere—, waiting for him to find her and ask her all the questions her husband was incapable of answering. VICTORIA RODCHENKO. He was still smiling when the phone began to ring. Chapter 20 available on Wednesday, May 9th! This entry was posted on Wednesday, April 25th, 2012 at 12:01 am	and is filed under Uncategorized. You can follow any responses to this entry through the RSS 2.0 feed. You can skip to the end and leave a response. Pinging is currently not allowed. « Bryan Reviews ‘Astonishing X-Men: Dangerous’ DVD!! !